Welcome to the website of the Gestation Network. 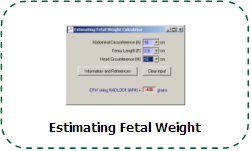 This site aims to highlight the importance of an individual approach in the assessment of fetal growth, based on maternal, fetal and pregnancy characteristics. Antenatal care: failure to thrive in utero can lead to fetal death; antepartum stillbirth is the largest contributor to perinatal mortality in most developed countries. Intrapartum surveillance: growth restricted fetuses are more likely to become distressed during labour. Neonatal care: babies who are small due to prematurity or growth restriction are more prone to neonatal complications. 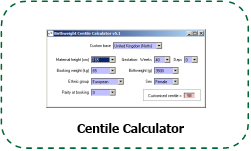 This site contains access details for fetal growth charts and birthweight centile calculators. 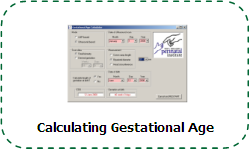 It also has software for calculating gestational age, fetal weight estimation and scan errors. Click on the relevant link below. 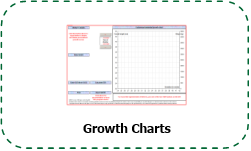 To learn more about the GROW technique, see GROW documentation. 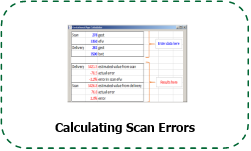 Disclaimer: The Gestation Network, Perinatal Institute and authors of the software cannot accept responsibility for any clinical diagnoses or decisions made on the basis of software programmes or charts provided through this and associated websites. 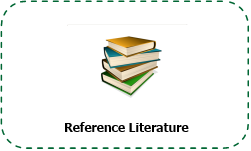 Copyright: GROW - customised software programmes contain algorithms based on published principles and formulae which are copyright of the Gestation Network.